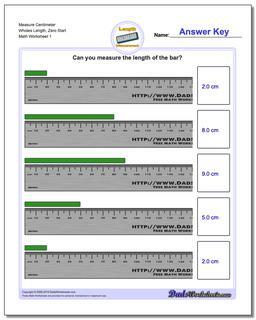 This page contains links to free math worksheets for Metric Measurement problems. Click one of the buttons below to see all of the worksheets in each set. You can also use the 'Worksheets' menu on the side of this page to find worksheets on other math topics. 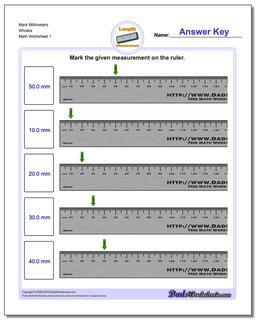 Metric measurement worksheets for identifying the positions of points on a ruler marked in millimeters. Metric measurement worksheets for identifying millimeter points on a ruler marked in centimenters. 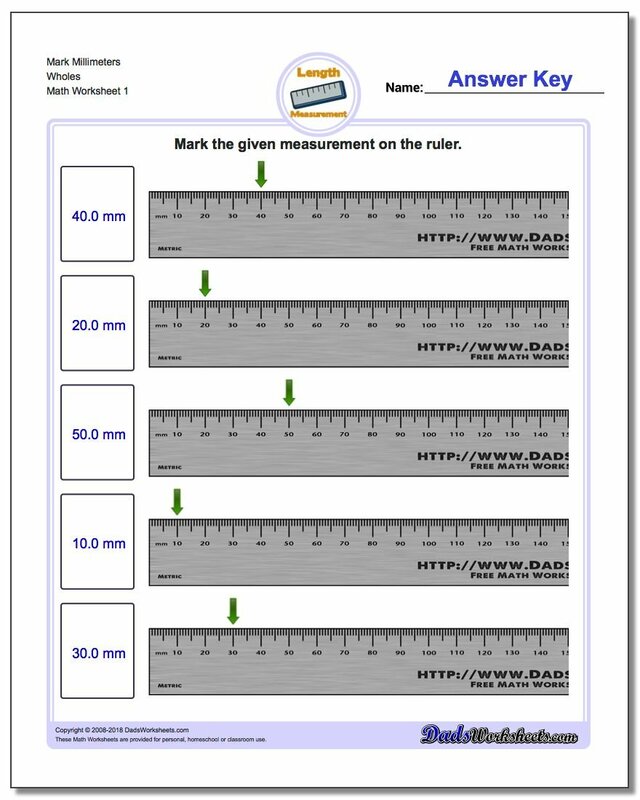 On these metric measurement worksheets, kids are given a measurement and are required to show the correct point on the ruler. 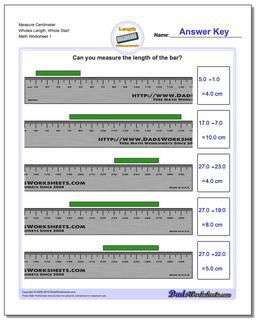 Measurement worksheets for measuring the length of an object placed at the zero position on a metric ruler. Measurement worksheets for measuring the length of an object placed at arbitrary whole centimeter positions on a metric ruler. These problems provide great applied practice for subtracting measurements. Measurement worksheets for measuring the length of an object shown at whole and half centimeter positions on a metric ruler. Learning to reading a ruler is a great way to apply math skills to real world objects and an important elementary grade skill. 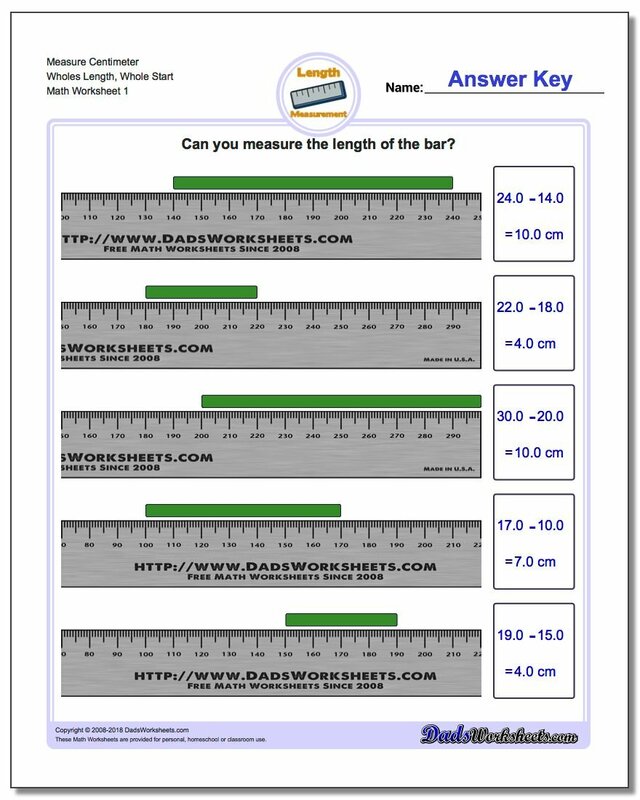 The measuring worksheets on this page provide practice work that will prepare first grade and second grade students for real-world ruler activities with metric measurements. 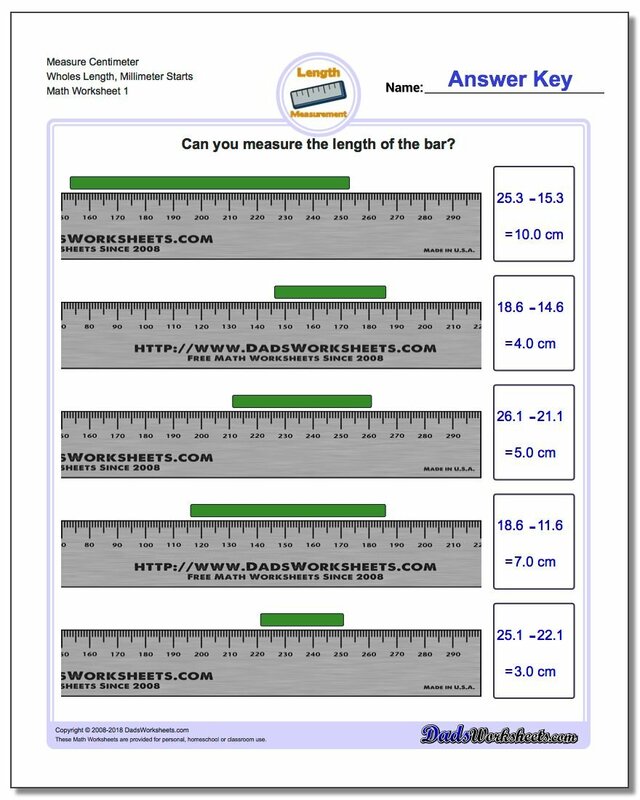 The first few sets of worksheets on this page deal with either reading or marking a measurement on a specific point on a ruler marked in centimeters and millimeters. Because many of the worksheets only show a partial ruler, when a student reads these problems, students will need to look carefully at the ruler markings to determine the relative position and get the correct answer. There are different sets of worksheets that deal with both centimeter and millimeter positions, and key ruler skill is understanding how the size of the various ruler tick marks correspond to different metric units. Another super-useful ruler skill is measuring the length of an object. Initially, this is similar to just reading a position off the ruler, but if the object isn't positioned exactly at the zero centimeter position of the ruler this creates a measurement subtraction problem for the student to solve. Some of these calculations involve reading a few millimeters less than a whole centimeter position at the start, and similarly a few more millimeters than a whole centimeter at the end position. Being able to coming or regroup millimeters to get a final answer in centimeters and millimeters make these measurement worksheets a useful tool in converting and regrouping metric units of length measurement. Ready for more measuring practice? 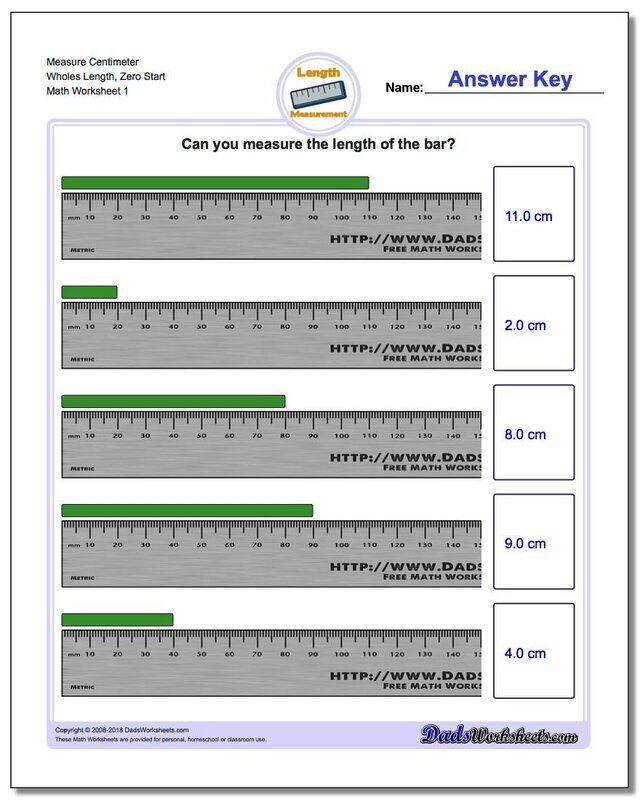 The worksheets at the link below provide similar practice for inch (customary unit) measurements!